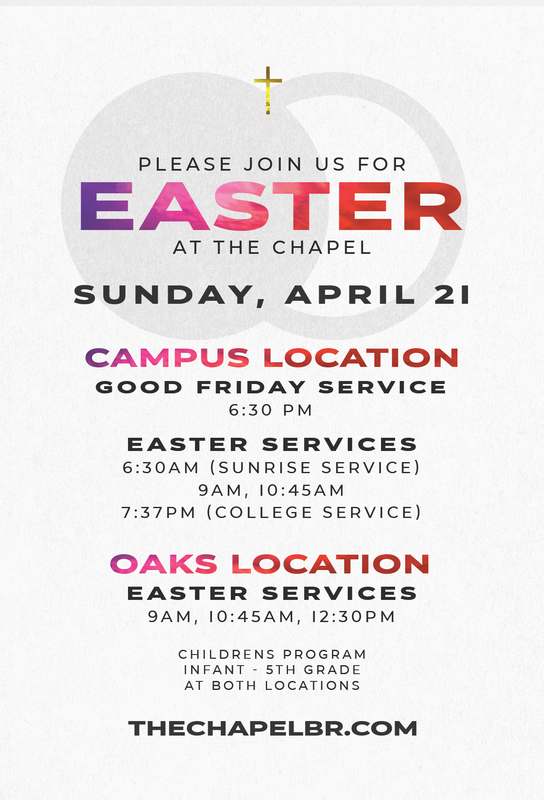 Join us on Easter weekend for a Good Friday Service and one of the seven Easter Worship Services offered on Sunday morning! Children's programming will be offered at the 9am & 10:45am services at the Campus location and at the 9am, 10:45am and 12:30pm services at the Oaks location! INVITE a friend by sharing this image! Would you Worship ONE, Serve ONE this Easter? Sign up for your spot to serve below!